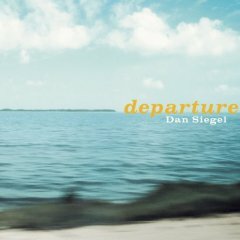 A culmination of influences from an illustrious career spanning 25+ years, DEPARTURE is the latest studio recording from pianist Dan Siegel. This CD is graceful, noble and reflective, since it transcends categorization as it speaks to earlier times of adult instrumental acoustic music with classic themes that were influenced by the song, its melodies, and its virtuosic musicians. Among Dan’s invitees are several contemporary jazz greats including Brian Bromberg, Vinnie Colaiuta, Lenny Castro with special guest performances by saxophonist Bob Sheppard, guitarists Norman Brown and Grant Geissman and vocalist Bill Cantos. Produced by Siegel and Bromberg, this 11-track offering is ripe with themes that move, groove and appeal to your sense of jazz. “Across The Sea,” “Street Talk” “Departure,” “Castles In The Sand,” and “Alone” are among the top picks. DEPARTURE is organic, in-the-pocket, and should be in your collection of great piano jazz records. I’m lovin’ it! Copyright © JazzUSA Online. All Rights Reserved Worldwide.